Meet The Shannons: Fresh Lemon Asparagus Soup will make you happy... worked for me. 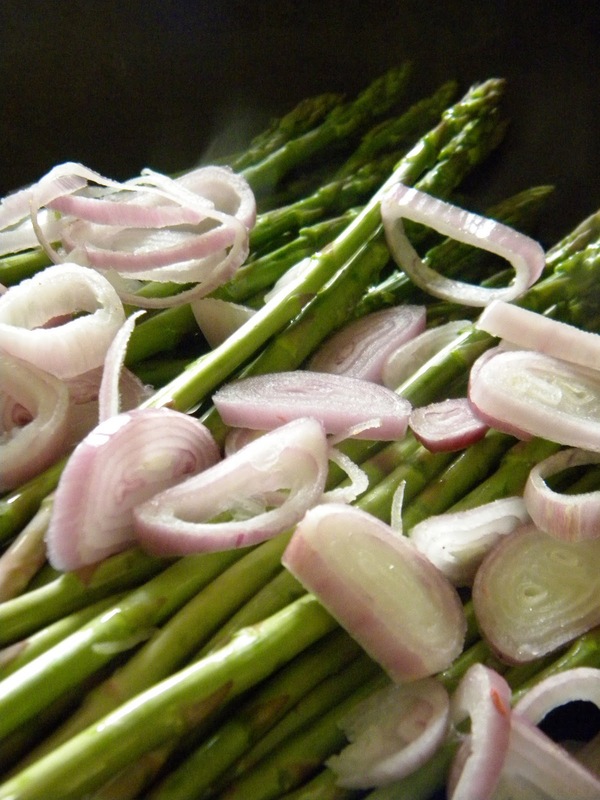 Saute Asparagus and Shallots in Olive Oil. Once your Asparagus and Shallots are tender, set a few spears of Asparagus aside to garnish your soup. Then put them in a food processor or blender with as much Olive Oil as you can. Blend until smooth. Then add Cannellini Beans and blend until smooth. It should take about a minute and half. In a large soup pot or Dutch oven, heat Bouillon, Celery, Artichoke Hearts and White Wine on a medium heat. Once it begins to boil, add the Asparagus blend. 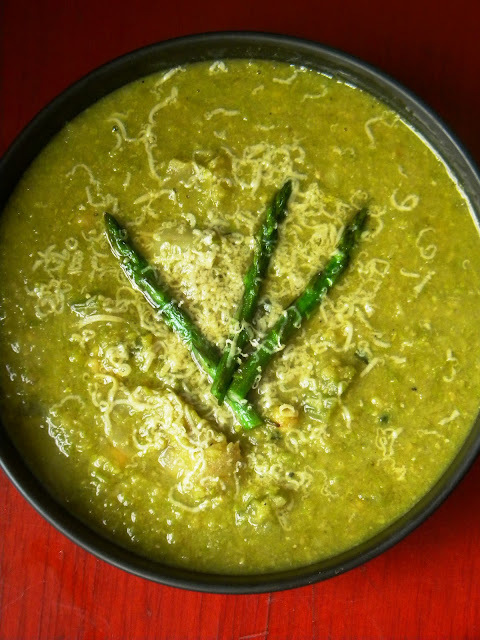 Stir the Asparagus blend into your soup and then add Cumin, Onion Powder, Black Pepper, Braggs and Fresh Thyme. Then cover and let simmer for 5 minutes on a low heat. Stir your soup occasionally. Then remove it from heat and stir in Lemon Zest and Lemon Juice. Serve hot with Sheese and Asparagus Tips on top. Don't forget the to get some good bread... you'll want to clean your bowl. * At least I still qualify for the Soup Olympics**. ** UM - SOUP OLYMPICS IS A GREAT IDEA. I might make that happen. More about that later. Seriously. Yeah I still regret christening our gravy : gravy. I could eat a bowl of that with a spoon... if it wasn't gross to eat bowls of gravy. Oh My God! This soup looks sooooo good...Looks like something that would cure my Tuesday blues. I third the soup olympics. Seriously. And the fact that shallots are awesome, and totally under-appreciated. Stupid onions, stealing the show. Looks like a +2 win for the asparagus soup! I made it for dinner tonight! It was a big hit. Thank you for the inspiration! I used fresh onion, way more lemon, and tons of cayenne! I'm not a big soup eater, but this one looks oh so good. It will definitely be made on the next rainy day!